Nareshwar Singh Virdi | Sacramento Immigration Lawyers Acquest Law, Inc.
Nareshwar Singh Virdi is an Attorney at Law & the Managing Partner at Acquest Law, Inc. He leads our Immigration Law, Business Law, and Estate Planning and Probate practice in Sacramento. He works extensively in matters involving family-based, employment-based, and investment-based immigration petitions. Naresh has significant experience involving the overlap of Immigration and Family Law. Additionally, he has successfully litigated dissolution cases. 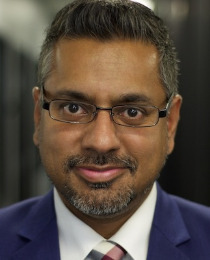 Before starting Acquest Law, Inc. Mr. Virdi worked as a Management Consultant at Sutter Health Information Technology division, Senior Project Manager at Kaiser Permanente, Business Analyst at the Edmonton Police Service, and as a Hospital Administrator. Naresh earned his J.D. from the University of the Pacific, McGeorge School of Law. He also earned his M.P.H. from the University of Alberta, and his M.B.A./M.H.A., with distinction, from the University of Indore in India. Mr. Virdi is admitted to the bars of the State of California, and the Federal Circuit. He is a member of the American Immigration Lawyers Association, Sacramento Bar Association, and South Asian Bar Association.